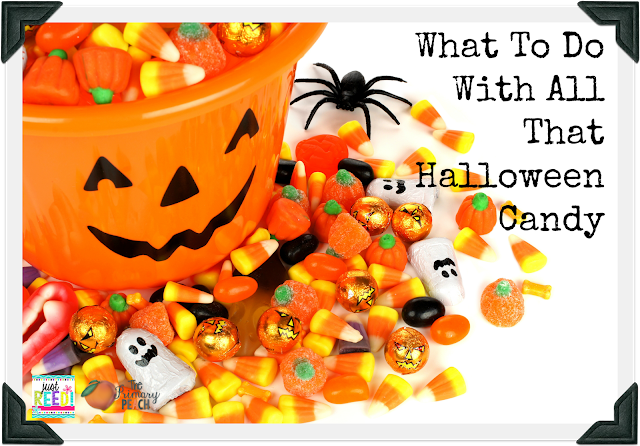 The Primary Peach: What in the world do I do with all this Halloween Candy? What in the world do I do with all this Halloween Candy? Perplexed what to do with that ridiculous amount of candy amassed from Fall Festivals and trick-or-treating? It's Ashley from Just Reed here to let you know what I plan to do with most of our candy. DISCLAIMER: I *may* be tempted to keep the Reeses! I for one don't often give out candy as a classroom reward. So putting it in the treat jar isn't really an option for me Plus, I know lots of parents who aren't crazy about sugaring their kiddos all up! I came across something that made me SMILE! Introducing, OPERATION GRATITUDE! 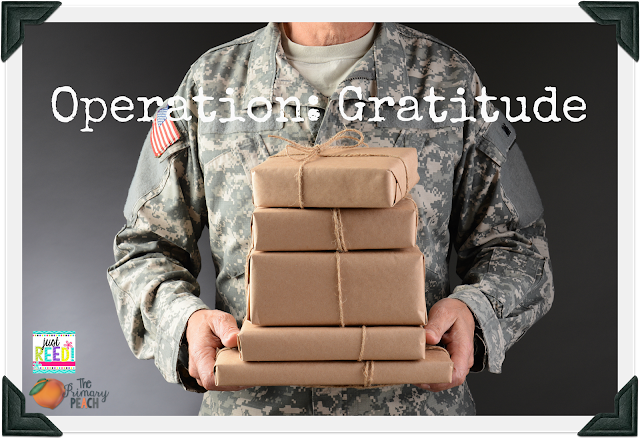 Operation Gratitude is a military care package program. For Halloween, they partner with dentists to buy back Halloween candy and donate it to the troops in the form of care packages. 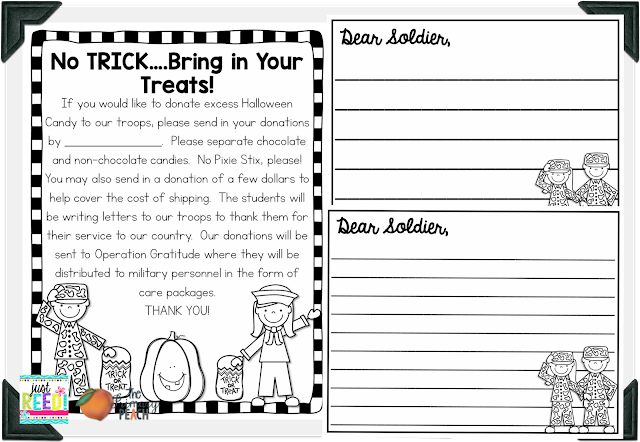 Please separate chocolate candy from all other candy and send it in separate cartons, marked “Chocolate” or “Non-Chocolate.” Sorry, but they cannot send Pixie Stix in their care packages; please remove them before donating your candy. They want to keep the smiles on the troops’ faces all shiny, bright and healthy! You're encouraged to send letters to the troops to be included in your care package. Additional Shipping Information can be found HERE. You can complete the donor form found HERE to include with your shipment! I typed up a handy parent letter you can send home with your students if you choose for your class to participate in this worthwhile program! I've also included two different letter templates--one for primary and one for elementary! Click below to grab them! Seriously, I LOVE this idea, Ashley! Such a great way to show kids how to share!